Get started with SUNDÃRI Skincare. This Beauty Box has all the essentials needed for a SUNDÃRI skincare regimen at a great price! A great treat for yourself and an excellent gift as a stocking stuffer. A gentle foaming facial cleanser that removes make-up and impurities, without disturbing the skin’s delicate pH balance. The infusion of botanical extracts of Grapefruit and Roman Chamomile helps in soothing and strengthening capillary walls. The soap free action gently removes surface impurities, make up and refreshes the skin. Lavender Moisturizer for Dry Skin (1 fl.oz)SUNDÃRI Lavender Moisturizer for Dry Skin corrects the hydration level required by dry skin to lift, plump and firm the skin. SUNDÃRI Lavender Moisturizer for Dry Skin is a rich yet lightweight moisturizer infused with essential oils and botanical extracts designed to soothe and nourish dry and dehydrated skin. 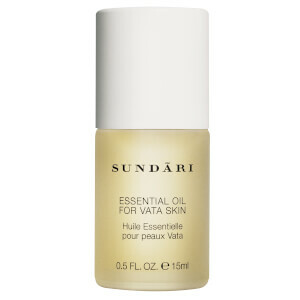 Emollient Lavender Extract, combined with protein rich Soybean Oil, effectively restores the skin's moisture balance. Formulated with Aloe Vera Juice that soothes and herbal extract of Neem that helps with skin repair. A unique Aloe Vera and Neem Oil blend to refresh and keep skin hydrated. Dual use formula which can be used as an alcohol-free toner or natural facial freshener with a unique blend essential oils. Delightfully scented with fresh Blood Orange Oil and therapeutic herbs, this exotic concoction will repair proteins in damaged skin and works to rebuild collagen levels. Cleanser: Massage into damp face avoiding area around eyes. Rinse thoroughly. Use morning and night. Moisturizer: Use daily over face and neck. A small amount spreads very easily and absorbs rapidly into the skin. Tonic Water: To use as toner, moisten cotton ball with tonic water, wipe over face to remove impurities. To use as a facial freshener, spray 8-10 inches away from face for a wonderful pick-me-up during the day. Body Lotion: Apply and massage to entire body. Cleanser: Aqua/Water, Decyl Glucoside, Cocamidopropyl Betaine, Sodium Methyl Cocoyl Taurate, Sodium C14-16 Olefin Sulfonate, Peg-18 Glyceryl Oleate/ Cocoate, Peg-120 Methyl Glucose Dioleate, Phenoxyethanol, Caprylyl Glycol, Polysorbate 20, Citrus Grandis (Grapefruit) Oil, Citric Acid, Tetrasodium Edta, Allantoin, Anthemis Nobilis Flower Extract, Hamamelis Virginiana (Witch Hazel) Extract, Cucumis Sativus (Cucumber) Fruit Extract, Salix Alba (Willow) Bark Extract, Aloe Barbadensis Leaf Juice, Propylene Glycol. Moisturizer: Aqua/Water, Glycerin, Glycol Stearate, Peg-100 Stearate, Aloe Barbadensis Extract, Glycine Soja (Soybean) Oil, Simmondsia Chinensis (Jojoba) Seed Oil, Carthamus Tinctorius (Safflower) Seed Oil, Dimethicone, Cetearyl Alcohol, Ceteareth-20, Sorbitol, Sucrose Cocoate, Cetyl Acetate, Phenoxyethanol, Cetyl Alcohol, Sweet Almond (Prunus Amygdalus Dulcis) Oil, Caprylyl Glycol, Carbomer, Acetylated Lanolin Alcohol, Citrus Medica Limonum (Lemon) Extract, Melia Azadirachta Extract, Sodium Hydroxide, Bht, Lavandula Angustifolia (Lavender) Oil, Glycyrrhiza Glabra (Licorice) Extract. Tonic Water: Water, Aloe Barbadensis Extract, Allantoin, Phenoxyethanol, Caprylyl Glycol, Peg-40 Hydrogenate Castor Oil, Citrus Aurantium Bergamia (Bergamot) Fruit Oil, Citrus Limon Peel Oil, Parfum, Melia Azadirachta Extract, Camellia Oleifera (Green Tea) Extract, Copper Pca, Copper Sulfate, Propylene Glycol. Lotion: Water, Aloe Barbadensis Leaf Juice, Peg-400, Copper Chlorophyllin, Caprylic/Capric Triglyceride, Cyclopentasiloxane, Melia Azadirachta Leaf Extract, Sorbitan Stearate, Polysorbate 60, Behentrimonium Methosulfate, Cetearyl Alcohol, Polyquaternium-37, Helianthus Annuus (Sunflower) Seed Oil, Sesamum Indicum (Sesame) Seed Oil, Cetyl Alcohol, Stearyl Alcohol, Glycol Stearate, Phenoxyethanol, Caprylyl Glycol, Sorbitan Laurate, Sorbityl Laurate, Allantoin, Aluminum Starch Octenylsuccinate, Citrus Aurantium Dulcis (Orange) Peel Oil, Citrus Grandis (Grapefruit) Peel Oil, Camellia Sinensis Leaf Extract, Cymbopogon Martini Oil, Cananga Odorata Flower Oil, Propylene Glycol.